It is widely known that kids are the most demanding audience, what can be proved by the posters presented during exhibition. Their authors, for example Jakub Erol or Jacek Neugebauer, real masters in their art, had to meet the expectations of the picky youngest viewers. The exhibition contains posters to the films from the German Democratic Republic, from Great Britain and even from such exotic places like Australia or Panama. 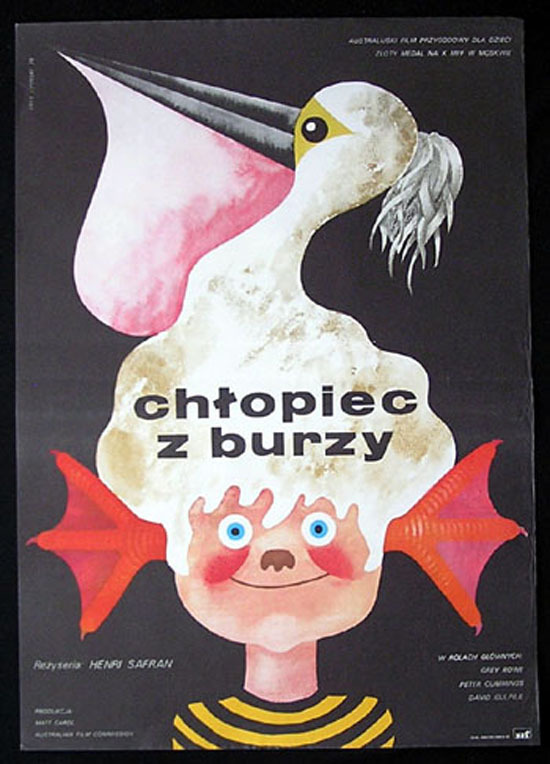 Styles of the posters were inspired by the surrealistic and grotesque motives, often with references to fairy-tales and also with considerable simplifications – all of that to catch the youngest viewers attention. Apart from achieving this main aim, the artists often tried to convey unnoticeably some more profound truths related to specific cultural and even socio-political issues. Thatis why, all these bright works, because of both high cognitive and artistic potential, should interest also the older viewers.